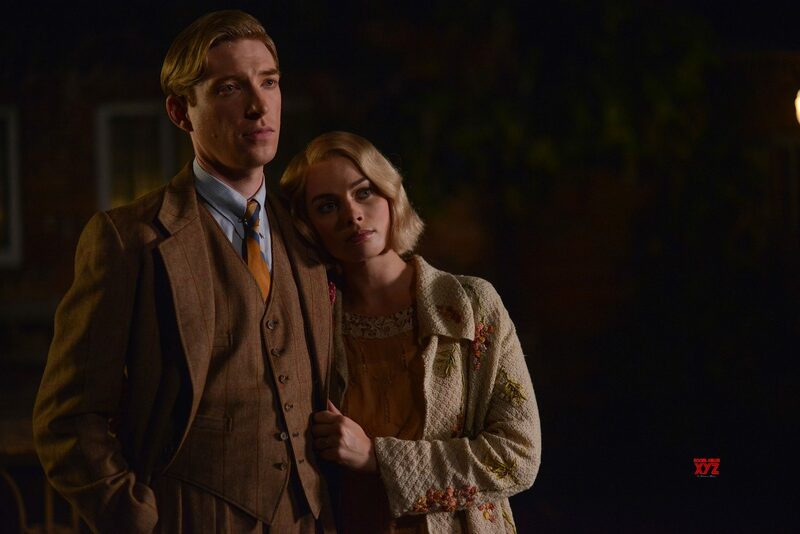 While there may be an undeniable charm, and distinct sense of enchantment to Simon Curtis’ Goodbye Christopher Robin, it’s a film peppered with sad, profound moments, with the very title itself emblematic of that, as we delve into the life of the real life Christopher Robin, a young boy who became a superstar, finding his imaginative mind and the fantasy worlds he inhabited shared with the world. We certainly benefitted – but did he? A.A. Milne (Domhnall Gleeson), a successful playwright who struggles to readjust to society after serving his country in the First World War. Suffering from PTSD, he persuades his wife Daphne Margot Robbie) to relocate to the countryside, along with their young son Christopher Robin (Will Tilston) and nanny Olive (Kelly Macdonald). Bereft of ideas for new work, when left alone with his son for a brief period, the writer is inspired by Christopher’s limitless imagination, and the world he has created with his series of cuddly toy animals – and so A.A. Milne turns it into a collective of novels that bring back hope to the nation, as the public become enamoured by Winnie the Pooh and friends. But by naming the child in the books after his own son, could have implications on this innocent child’s upbringing. The film examines, in glorious fashion, the imagination of a child, as the way the world of Winnie the Pooh was beautifully crafted by its author, who used his son’s sense of curiosity, and spontaneity to help enrich this universe. He’d ask young Christopher a quick question, like the name of a certain animal, and the child would respond in a flash – not overthinking, just saying it, like kids do. Tilston is excellent too in the role, and there should also be a mention for Alex Lawther who depicts Christopher Robin in the final act when he’s grown up – and old enough to fight in the Second World War. Gleeson is consistently brilliant, so nuanced and dependable as a leading man – and while the same can usually be said of Robbie, she does feel somewhat miscast in this instance, bringing a certain warmth to the role but forgetting, at times, how to do the accent. Goodbye Christopher Robin is an exemplary film when vying to appreciate a balancing of several themes – for not only do we have the magical beginning of Pooh, but there’s the PTSD, wrIter’s block and the creative process that ensues, and how fame can affect a child. Naturally, with such themes on show it’s safe to assume this film isn’t exactly a children’s movie, and while they may still get something out of it, a bit like the stories of Winnie the Pooh, this one is just as much for the adults, if not more. This entry was posted in Reviews and tagged Biography, Family, History on September 27, 2017 by Stefan Pape.